There is a nominal $20 tryout fee. Registration is required. Click HERE to register. A specific training schedule will be announced once we receive our field space allocation from the City of Santa Monica. Each team can expect anywhere from 1 to 3 sessions a week. 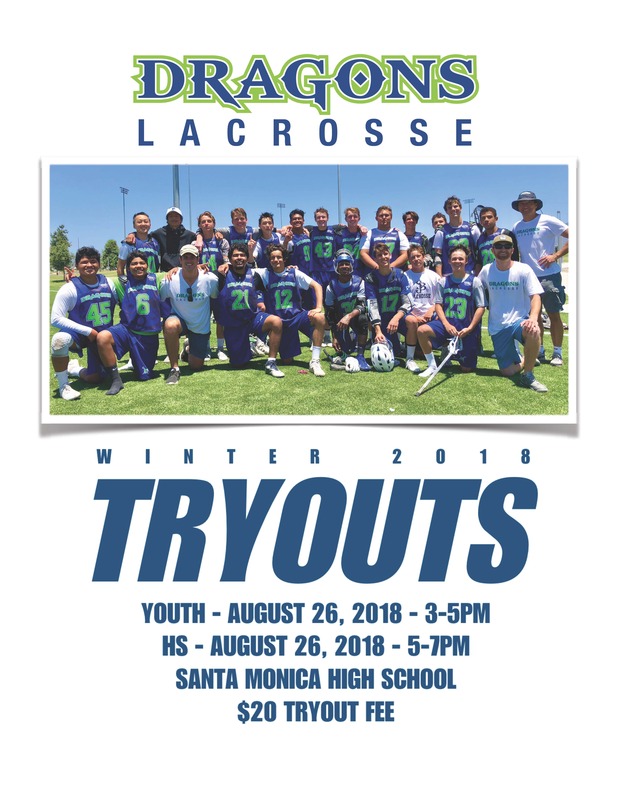 This will include a game simulation session where we focus on game play, LAX IQ and competitive drills, a technical session where we focus on individual skills and positional training, as well as run club on the beach. The tournament options are listed below. Please keep in mind that the final schedule will be determined based on actual tournament registrations. In other words, if we assemble a competitive roster by the registration deadline, we will attend that tournament. This means your individual schedule could consist of anywhere from 1 to 5 tournaments, depending on your appetite and overall participation. Deadlines for tournament registration will be posted when we announce Membership and Tournament Pricing. We plan on fielding single grade teams for 6th, 7th and 8th grade and all the tournaments we selected allow us to play that structure. 4th/5th will be a combo team and HS will be 2021/22 and 2019/20 combo teams. Tournament details and tournament selection criteria will be shared with the players that end up making the Tournament & Training roster. A practice schedule will be posted when we announce the rosters, the week after the tryouts. The membership fee will NOT include tournament cost (see below). Membership pricing will be announced once we receive our field space from the city of Santa Monica and are able to define our specific training schedule. Each tournament roster will capped at 20 to maximize playing time. This pricing allows us to add more tournaments or drop a tournament and pick ones that better works with the team schedule if needed. Overall it will allow everyone more flexibility and lead to the best result on the field. Tournament Pricing will be announced when we announce Membership Pricing.